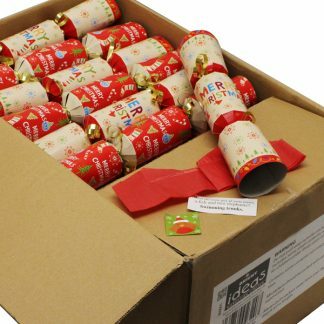 Ensure all of your festive frolics go off with a bang with this 50-pack of cheerful Christmas Crackers 10″! 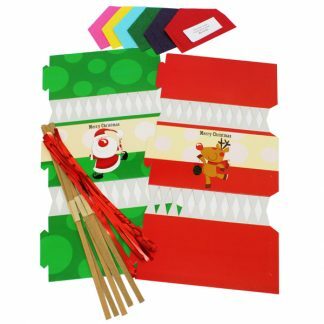 Want to find out more about our make your own Christmas crackers? We’ve got a smaller pack available which contains everything you need to make your own crackers – they’re a great way to get the kids involved in some Christmas crafting. There’s also a step-by-step guide to making your own Christmas crackers in our blog post.